Two weeks ago I spoke at the same event as John Medina, author of Brain rules, where his post lecture book signing line was at least ten times longer than mine. It felt like having my garage band give a concert next door to U2. However, he did agree to answer some questions for me. WooHoo! 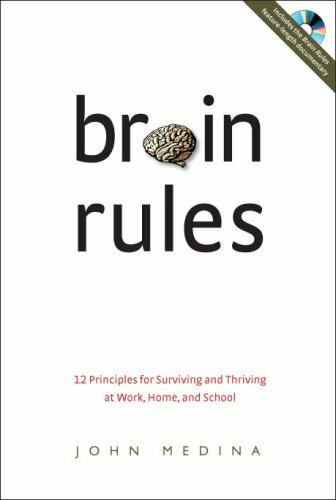 Chapter 4 in Brain Rules is all about attention and public speaking, and since he’s a professor he describes how his knowledge of the brain has defined his approach to teaching. Just came across your blog. Enjoying it so far. Keep up the good work!